A passenger on the delayed train from Paris to London describes the sympathy he and others on board had for the migrants outside. Simon Gentry's train was delayed for more than 12 hours last night. Not by a mechanical breakdown. Or signal problems. But by desperate migrants and refugees on the tracks. Gentry wasn't angry. He was sympathetic. He was one of several hundred passengers on a Eurostar train travelling from Paris to London through the Channel Tunnel. 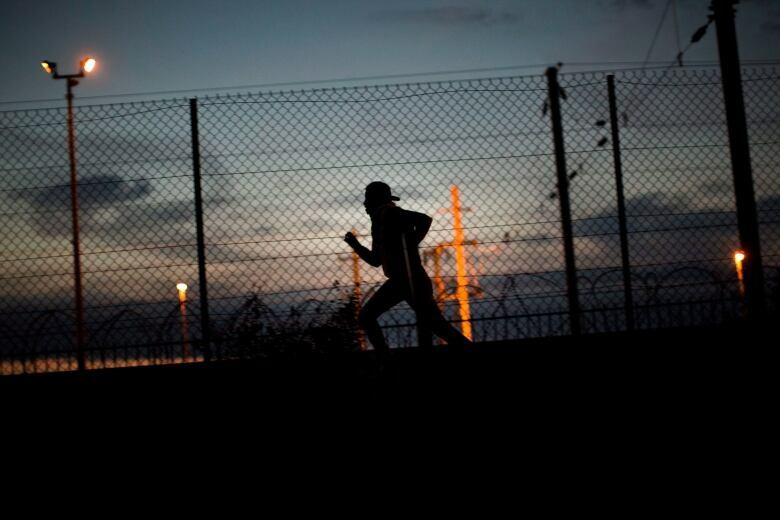 It was held up over night at Calais by asylum seekers who were risking their lives to try to get through the tunnel. Some even tried to climb on top of the train. "[The on-board crew] felt there were perhaps people on the roof of the train and, if we heard people walking around, please could we alert a member of staff," Gentry tells As It Happens guest host Helen Mann. The rail company then called in police with helicopters and lights to search the roof. Gentry said he could see people moving in the darkness outside and he could hear movement above him. "It could have been police," he says. "But we believed it was probably migrants." He says the people surrounding the train were putting themselves in great danger. The train is powered by wires carrying 25,000 volts of electricity. 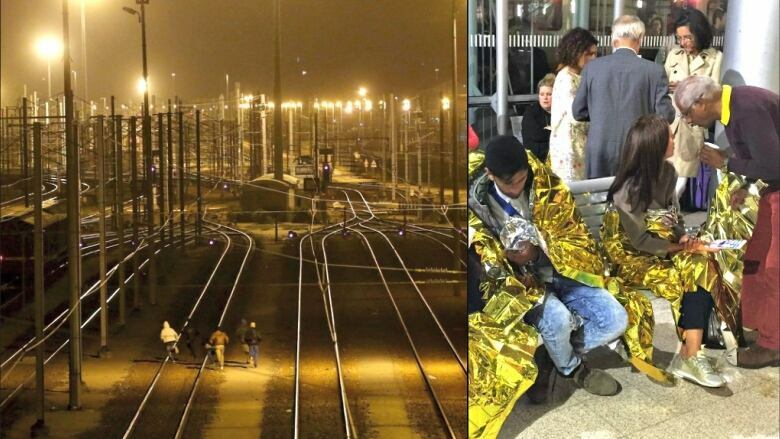 And, if they had succeeded in clinging to the train, they would have moved at about 290 km/h through the Channel Tunnel. "I was struck by how much sympathy there was [among the passengers]," he says. "These people must be so desperate, their circumstances must be so appalling, if they are looking to climb on top of a train . . . at some horrendous speed through a tunnel to try and get a better life." The authorities locked the train and shut off the power -- as well as the lights and air conditioning. Eventually, it was towed to a nearby station. When it finally departed for London at 10 a.m. local time, it had been delayed about 13 hours. He doesn't know what happened to the people who stopped the train. But he suspects they are still there trying to find another way through the Channel Tunnel. Gentry says there's no easy answer to the current crisis. And he acknowledges that some in Britain are nervous about accepting large numbers of refugees. "We want to sort of retain the culture, but also be hospitable and recognize that, 'There but for the grace of God go I,' he says. "And, you know, we'd hope that someone would take us in, if the circumstances were reversed."